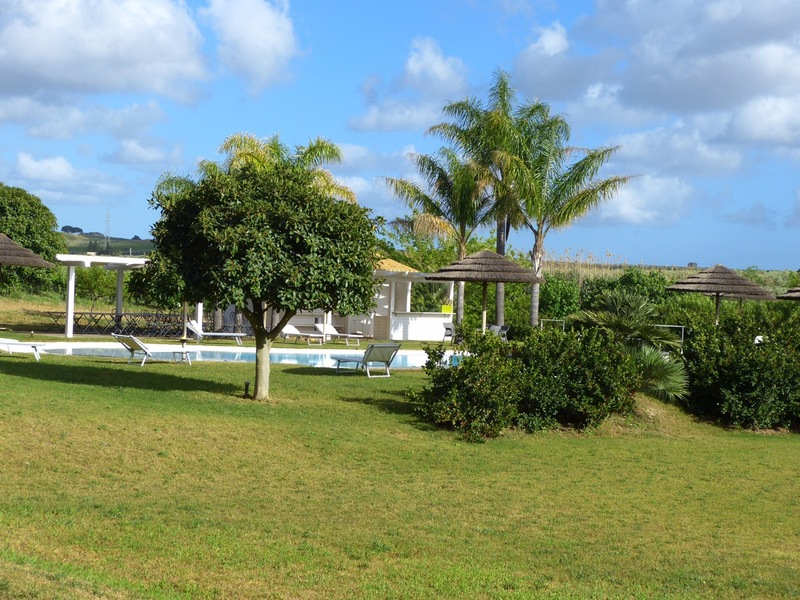 What an incredible stay we had at Agriturismo Berlinger, a beautiful resort about 45 minutes from Mazara. As usual, the breakfasts and two dinners we enjoyed here featured all of the farm’s products. Some of the group took advantage of the beautiful pool, but I wasn’t about to risk it with my cold. I was just content to wander around the property, enjoying being in the middle of a vineyard! 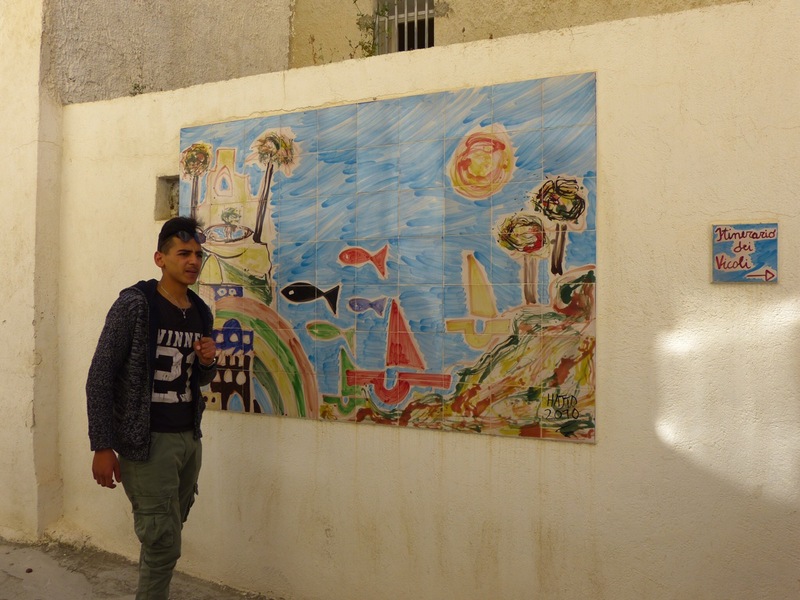 Our two days in Mazara were very active, starting with a guided tour through the kasbah, home to the city’s Tunisian community. 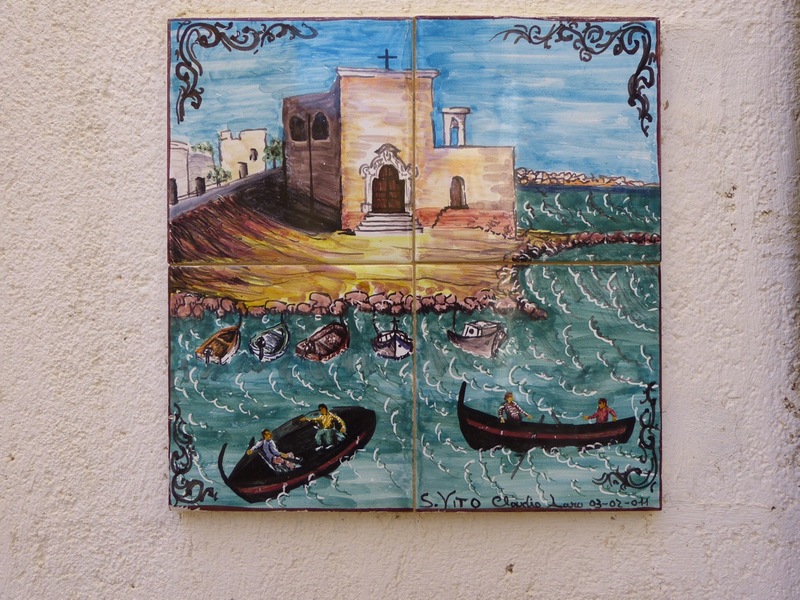 It didn’t take long for us to notice the beautiful ceramics scattered throughout–vases, tiles, wall plaques. 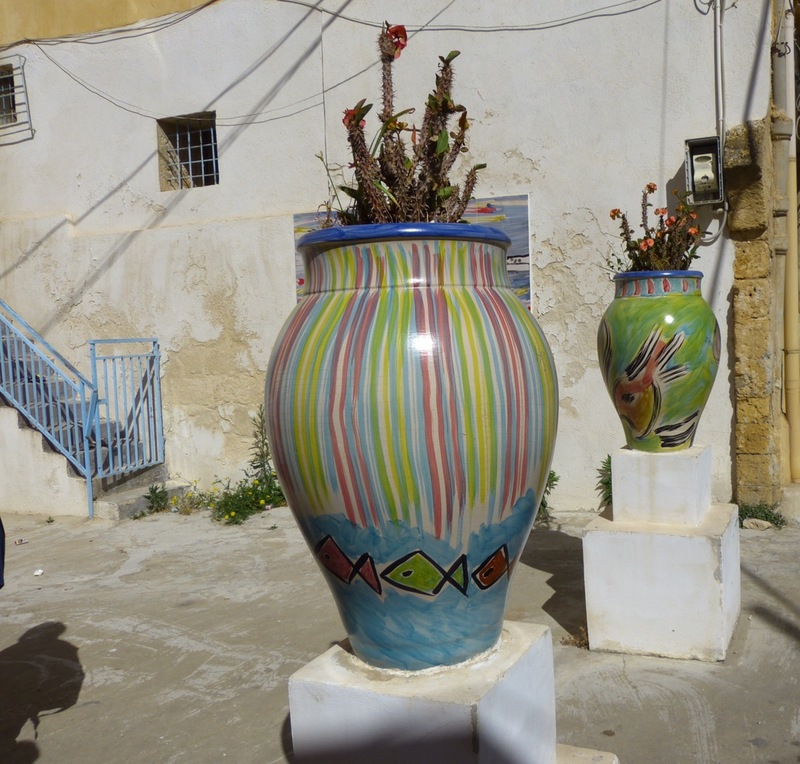 Oznee, our 18 year old Tunisian guide, told us the mayor of Mazara, an artist, sponsored this ceramic extravaganza. 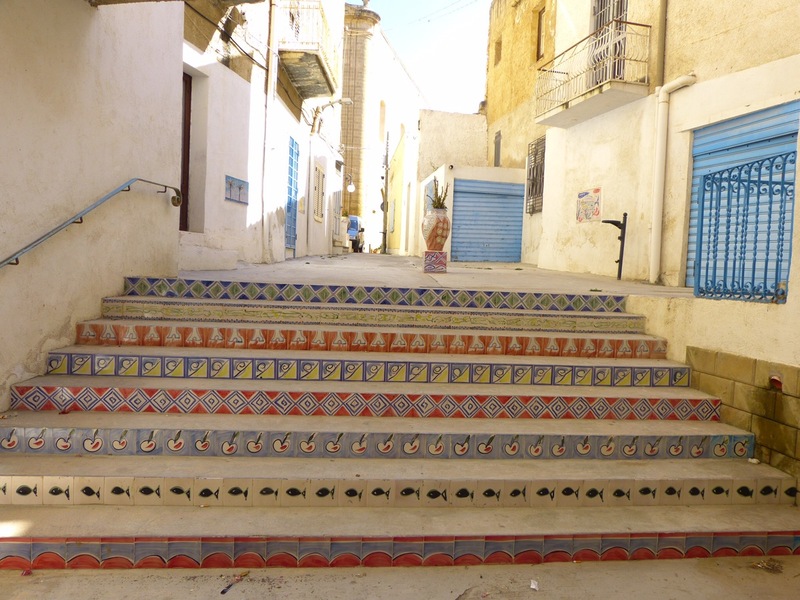 The kasbah is a labyrinth, intentionally designed to confuse the enemy. What looks like a straight path ends up being a dead end trap, where the invaders could be set upon by the home team. 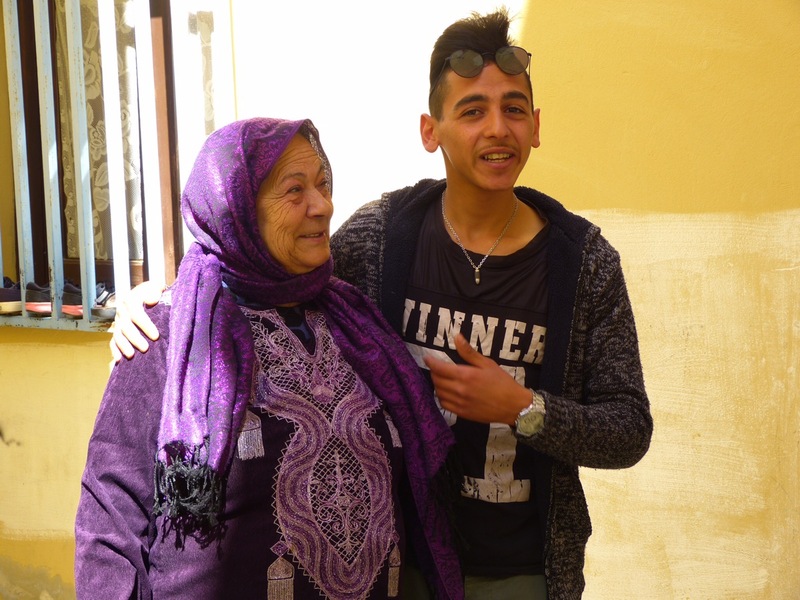 Before our tour concluded, we met Oznee’s grandmother, who emigrated here from Tunisia with her husband and six children. Oznee’s parents divorced, leaving him with his grandmother when he was 11. Since then he has been working, recently supporting himself by giving these tours. 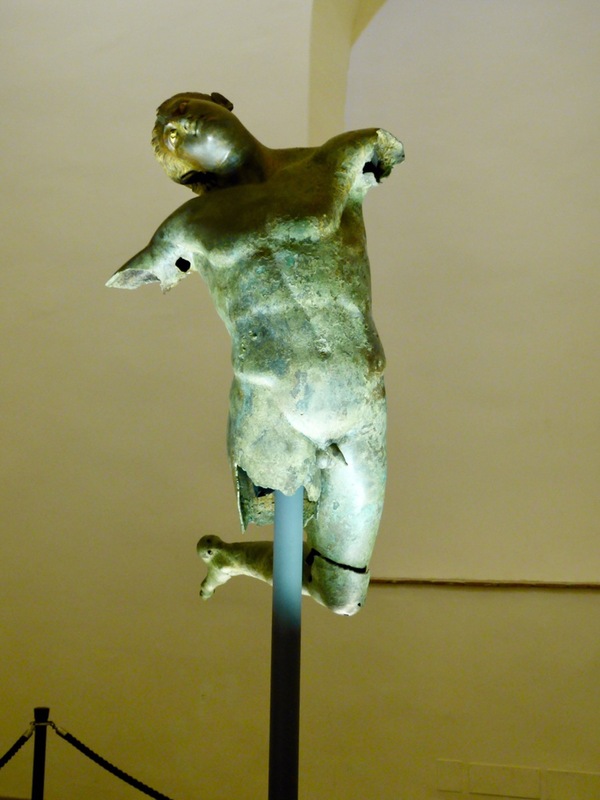 The town is rightfully proud of its treasure, the “Dancing Satyr,” a Greek bronze statue discovered by local fishermen in 1998. 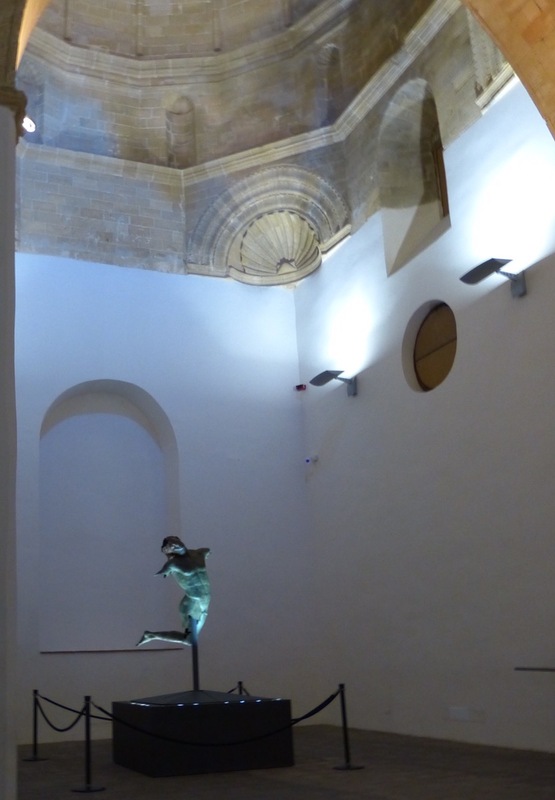 The statue is displayed in the former medival church of San Francesco, now repurposed as a museum. After we left the museum, we were treated to several wonderful surprises. 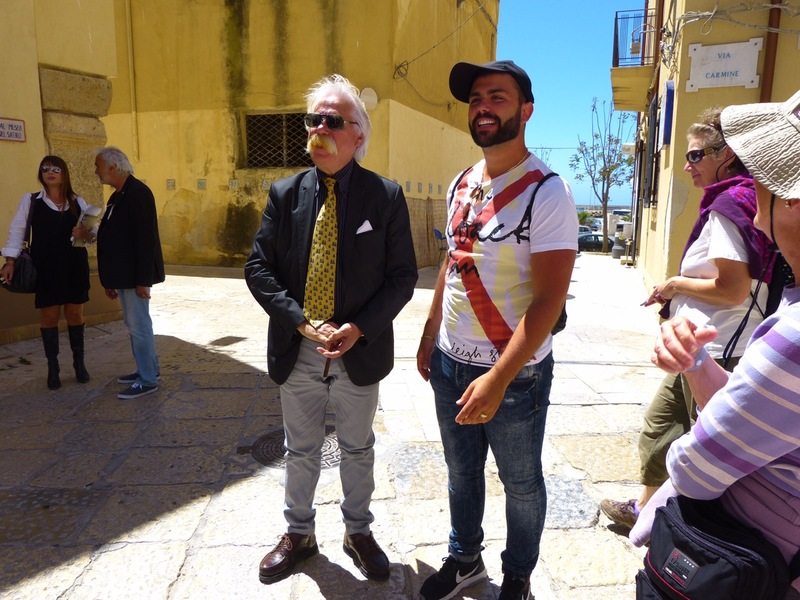 First we met the mayor, looking very much like the artist he is. Finally, we met Captain Ciccio, whose fishing crew pulled up the satyr’s leg in their fishing net. They kept returning to the area in the hope that they would find the rest of him. So what did the captain get for discovering this priceless treasure? Well, in addition to bragging rights and the satisfaction of doing something wonderful for his community, he was given sufficient money to marry off his three daughters. To him, the satyr is the son he never had! 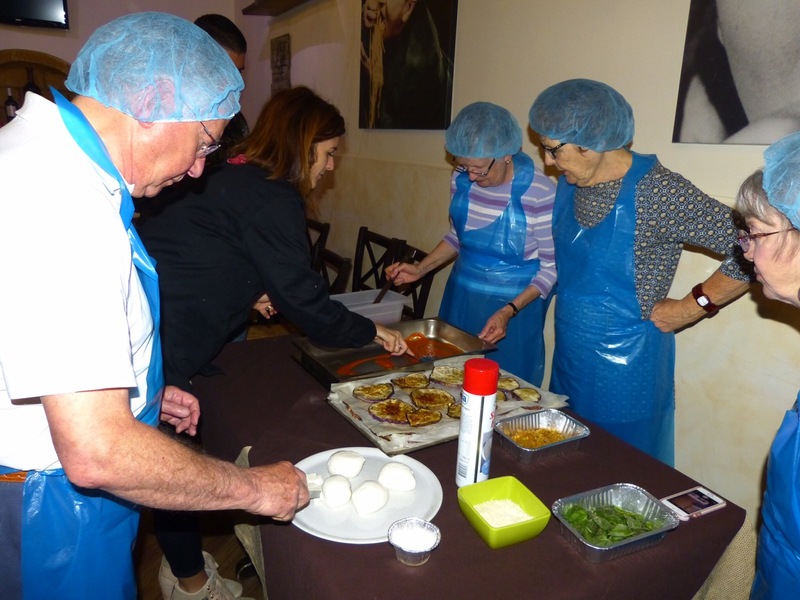 We ended our day with a cooking class at a local restaurant. Our group divided into 4 teams, with each team contributing one dish. We had a bread ball appetizer, a wonderful baked eggplant dish, tomato pesto with home made pasta, and a delicious variation on tiramasu. It was the perfect ending for a great first day in Mazara. I think the Mayor is copying the statue because I think his “joystick” is right there also…. Leave it to you to notice that! So please you are enjoying and spending time in the birthplace of my grandfather. I have been there and loved it. 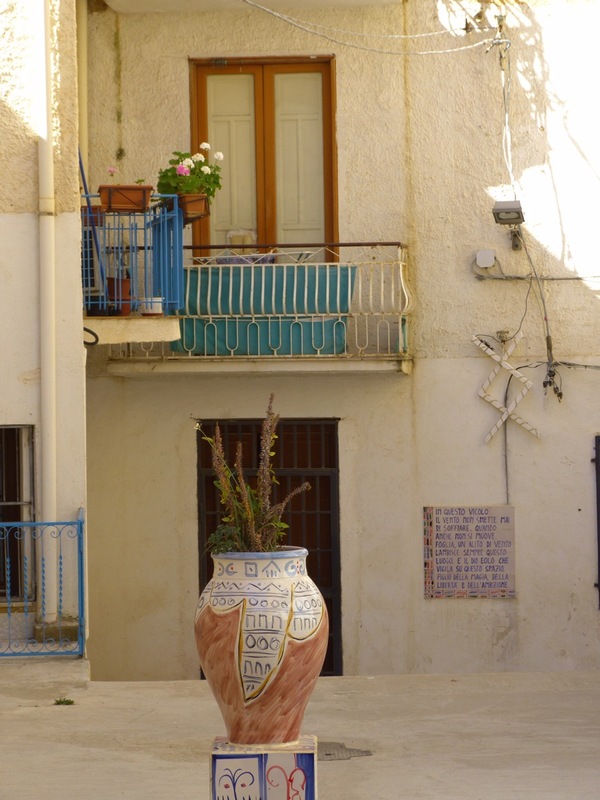 I will be there again in August, and , will visit with my relatives from Castelvetrano. Continue to enjoy! Thanks Phyllis, what an amazing culture!